Acura have really done their best to pack as much new technology as possible into the 2019 RDX. That starts with the engine and drivetrain. Acura have ditched the old V6 from the previous generation RDX in favor of a smaller 4-cylinder engine aided by a turbocharger. The immediate benefit of such a change is fuel economy. The new RDX should be about 11 percent more efficient than the vehicle it replaces, which will save owners money at the pump while also being better for the environment. Other benefits of downsizing the engine include a better weight distribution for this year's RDX, which goes a long way towards explaining why it handles so well. Of course, the other side of the coin when downsizing an engine is usually a loss of power. However, in this case, the RDX drops a grand total of just 7 horsepower with the change from six to four cylinders, now totaling 272 instead of 279 like last year's model. Torque is actually up over the outgoing model, so the 2019 RDX is unlikely to feel any slower than the 2018. Power is sent to the front wheels via a new 10-speed automatic transmission, though all-wheel drive is available as a $2000 option. The 2019 RDX comes in just one well equipped trim level. Standard features on the 2019 RDX include LED Jewel Eye Headlights, LED taillights, 19-inch wheels, automatic headlights and washers, heated side mirrors, faux leather seating surfaces, heated 12-way power adjustable front seats and dual-zone climate control. Standard interior tech includes Bluetooth, adaptive cruise control, a lane keep assist system, active sound control, a 9-speaker sound system, SiriusXM satellite radio, multiple USB ports, a 10.2-inch touchscreen, a 7-inch color multi-information display for the driver, mobile hotspot capability, AcuraLink, a Siri Eyes Free mode for iPhone users, voice recognition, HomeLink and a compass. Drivers and passengers will be able to control that tech through Acura's new True Touchpad interface that features a touchpad in the center console, which can be used to control the center display screen. Three option packages are available for the RDX in 2019. A Technology Package adds perforated leather trimmed seats, a GPS linked climate control system, a 12-speaker premium audio system, HD radio, a blind spot information system, rear cross traffic monitoring and front and rear parking sensors. An Advanced package adds heated and ventilated front seats, rain sensing wipers, a remote starter, auto-dimming side mirrors, fog lights and parking sensors. The A-Spec Package includes 20-inch dark grey wheels, unique front and rear bumpers, LED fog lights, a sportier grill, dual exhaust pipes, a gloss black rear spoiler, heated and ventilated front seats, a black headliner, red instruments, red cabin lighting, sport pedals and a 16-speaker premium sound system. The RDX has been fully redesigned for 2019. The mid-sized SUV is one of Acura's most successful vehicles, with sales exceeding 370,000 units over the vehicle's lifetime. 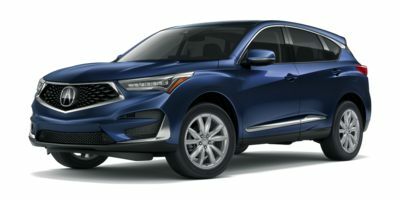 The 2019 RDX is therefore an extremely important vehicle for Acura to get right. In response, Acura have improved their SUV in nearly every way imaginable, from a friendlier interior to better handling to improved fuel economy. The Acura RDX rides the line between being compact and being mid-sized in the luxury SUV segment. The RDX features attractive, futuristic styling, a turbocharged drivetrain and sharp handling, making the RDX a good value in its class. Competitors include the BMW X3, the Audi Q5 and the Mercedes-Benz GLC. With pricing starting at around $37,000, the Acura RDX undercuts all those competitors by at least a few thousand dollars, while offering a technology laden interior and more horsepower to boot.